The one question I’m most asked when people find out I own a brewery is, “How did you get started in the beer business?” Or some such variation. Since I still get asked that question over and over even after 20 years in the craft beer industry, I figure it’s about time to try put my story down in writing. I am going to ramble a bit so hang in there and I hope you find this somewhat interesting. Like it does for most of us, my history with beer goes back to my teenage years. Growing up in the late 80’s, I knew I wanted to be a military pilot. 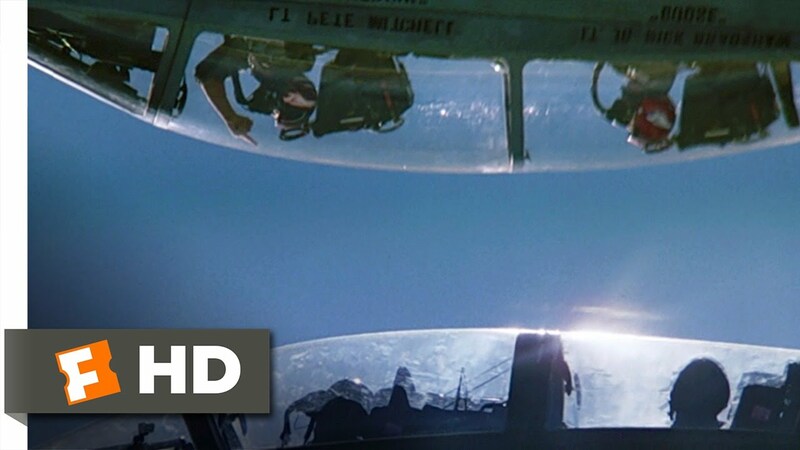 This was the time period of “Top Gun” and I’m sure I’m not the only one that saw myself as Maverick flying inverted and keeping up foreign relations. In high school I applied for admittance to the Air Force Academy and earned an alternate nomination. Rather than wait to see if I got in, I took my name off the list and figured I could do ROTC in college instead. So in 1987 I started as a freshman at GA Tech with the intent to study AeroSpace Engineering. While a freshman at Ma Tech and only 17 years old I joined Phi Kappa Tau Fraternity. I could tell tons of stories about my time there but some things are better left unsaid. What I can say is that Chambers and Barney in room 8 could be the reason I am where I am today. They had a beer bottle collection on the wall of their room, inherited from Bosomworth I assume, and I thought it was really cool. Impressionable youth that I was, I decided to start my own collection. Over the course of the next couple of years, I had pretty much bought out every style and size of domestic light lager it was possible to find. Like any collector does, I kept searching for items I did not have. And since I had to actually drink the beer in order to keep the bottle, I began to build an appreciation for the taste of better beers. By the time 1989 rolled around it was obvious I was not meant to be an engineer. After all, how many students at GA Tech actually take history and political science classes to keep their GPA up? Or have an English professor tell them to consider majoring in English? (Should I mention I actually made the square root club after one particularly bad quarter and a bout of mono? Nah.) So I did what any young man would do – I switched schools to be closer to my girlfriend. Starting at UGA I continued the tradition of looking for new beers I had never tried. By the time I was a senior I even tried home brewing once or twice. The initial results were not good but I knew I had a passion for better beer. Upon graduating in 1993 my wife and I moved to Seattle, WA. This move sealed my fate. At the time I left GA there were no local breweries and in Seattle I had found beer paradise. I will never forget going to a local pizza place just after arriving. It must have had at least 16 taps. Back home in the GA I had just left it was unusual to find a bar that had more than six taps. And those six taps were usually all domestic beers. If you were lucky you might find Heineken or Guinness in the mix. But this Seattle pizza place not only had several taps but they were almost exclusively all local beers! Since my degree from UGA was in Risk Management and Insurance, my first job in Seattle was of course selling insurance. Six months after I started my boss pointed out my affinity for local beers and suggested I get involved with the brewing community to help them with their insurance needs. I decided he was right. I did belong in the craft beer community. But not for the purpose of selling life insurance. George Lamb, one of the owners at Marthasville, told me the best thing I could do would be to work in a brewery for some time to see how things ran. Unfortunately he did not have any positions open but he would be happy to let me come in and volunteer my time for free. Made sense to me! So I found two part time jobs at restaurants – fry cook at Applebee’s and server at Red Robin, to allow me the free time to drive 50 miles each way and work for free at the local brewery. (Thank God I had a supportive wife. I never would have been able to break into this industry without her. Here’s to you, Irina.) After 2-3 months of free labor sweeping floors and washing kegs, I was offered a job at Marthasville making $5 per hour. I was ecstatic! And I was officially on the inside of the craft beer industry. In a recent post by yours truly concerning the AB-InBev/SABMiller mega merger, I made the argument the acquisition could actually help craft beer. My reasoning was simple. Such a huge merger with all its associated press could cause more people to pay attention to where the beer they are drinking is made. Which could ultimately mean more consumers focusing on locally produced beers. Sure, that sounds great in theory. But there is one huge way the smallest independent craft brewers can be hurt by the merger. A stronger mega-brewery can put significant pressure onto the distribution tier to focus only on the mega-brewery’s offerings. We ran into this constantly in the early days of Terrapin. When looking at distributors in new territories, the Anheuser-Busch distributors were not an option for us. 100% Share of Mind was in full effect. But as craft beer became more popular and domestic beer sales continued to slip, many Anheuser-Busch distributors rebelled against the 100% share of mind policy and began to carry craft brands. Times have changed and today many independent craft brands are distributed by AB-InBev distributors. Many of these distributors are committed to remaining independent. I have talked to more than one AB-InBev distributor who is actively trying to get as many non AB-Inbev brands into their house as possible so they can resist the 100% share of mind push when it comes around again. An independent system of beer distributors has been key to the success of the craft beer movement to date. Unfortunately AB-InBev has a stated goal of buying their own distributors in the US when possible. There is a real concern that these company owned distributors would be pushed to sell only AB-Inbev brands. Which means that the many independent craft brewers in those houses would be dumped and left to look for other distribution options. Don’t think it will happen? It is happening. Read this for more details.. Without a system of independent distributors it is doubtful we would see the myriad of choices in the beer aisle we have today. Compare these two pictures. One is representative of an independent three-tier system and one is from a system that allows mega-producers to control the distribution channels. Can you guess which is which?